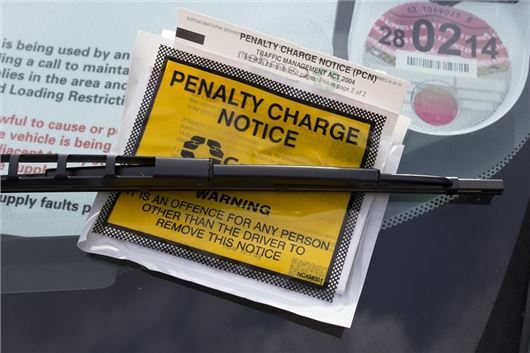 Plans to stop unscrupulous private parking firms from issuing expensive and unfair tickets and charges are under way, with the Government confirming support for new legislation. The Parking (Code of Practice) Bill aims to tackle rogue parking operators and is due for its second reading in the House of Commons on Friday 2 February, effectively guaranteeing its passage into law. As yet, little is known about the new guidelines, but the Government is promising to ban private parking companies from accessing drivers' DVLA records if they fail to obey the new rules. Regulation of the parking industry has long been called for as complaints over inconsistent practices, misleading signage, confusing appeals processes and intimidating payment letters sky-rocket. Parking firms issue almost 13 times more tickets than they did a decade ago and in 2017 the Citizens Advice Bureau dealt with almost 10,000 complaints. The new bill, put forward by Conservative MP Sir Greg Knight, has been designed to put a stop to aggressive behaviour, like threatening debt collection agencies, and provide a simpler method for appealing fines. More than 90 per cent of 1429 drivers surveyed by the RAC think the Parking (Code of Practice) Bill is a good idea, with a further 81 per cent saying private parking firms have a bad reputation. The top reason for this poor reputation is the disproportionate level of fines to the contravention. Nearly three quarters of drivers surveyed said car park signs were often hard to read or hidden, and 69 per cent believe the fees they charge for parking are too high. In addition, nearly two-thirds stated that the companies operate aggressive debt collection policies. Steve Gooding, director of the RAC Foundation, said: "Drivers don't want a parking free-for-all, but they do want a system that is fair to all parties and that's what a code of practice set by Government should bring about." >> Can I fight an unfair parking fine? There is already the ability to ban the companies from accessing DVLA data. However the BPA depends on the fees from the companies to maintain the lifestyle they have become accustomed to so it is unlikely they would want to put their own members out of business. The otehr body, the IPC are seriously out of control in how they operate, eventually someone in authority may realise this, but they won't ban anyone. As the current bans are only temporary there is the potential for the companies to continue to collect data and simply apply for keeper details once their ban is over. There is also the current issue of land covered by bylaws and private parking company invoices - even the DFT can't square that circle. Applying for keeper details on land you know isn't covered by POFA should be an automatic ban under data protection laws as there is no basis for requesting keeper details. "Parking Free for ONLY 1 HOUR,"
" !st hour/2hours etc free"
And then a limited fine per extra hour. Otherwise make all car parks payable and get a refund from the retailer if minimum amount spent. I was sent several heavy handed parking charge notices by the Parking Eye for a person and car that I knew nothing about at my address. The way cars are registered at the DVLA is wide open to abuse, anybody can register anything anywhere, no checks. Try and find out for yourself what cars are registered at your address and you get sent around in circles.